LP version. Includes CD. 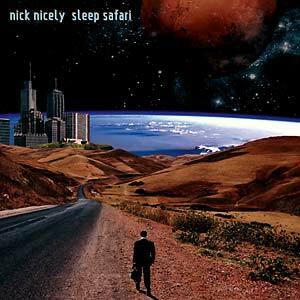 Sleep Safari is the new album from indie electronic artist Nick Nicely. The first single "Ghostdream", labeled as "Absolutely gorgeous" and "Euphoria" by BBC6, heralds new horizons for psych legend. Sleep Safari goes further into electronics while continuing the artist's psychedelic journey, creating a unique pop juxtaposition. There's also all the usual twists and turns, tuneful inventions and abstractions so revered after Nicely's previous releases on Captured Tracks, Cherry Red, EMI, and Burger Records. Further to the success of "Ghostdream", with album release and gigs in addition to his forthcoming Hollywood soundtrack debut, 2017 will be quite a year for him. 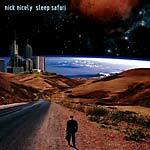 Nick has often looked beyond the obvious in matters electronic from early electro-psych fantasies like "DCT Dreams" (1981) and "Hilly Fields" (2012) through to his acclaimed second album, 2014's eerie epic Space Of A Second. "Utterly remarkable . 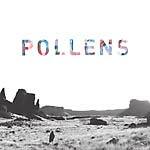 . . profoundly psychedelic" --Clash Magazine. Tapete Records present the latest chapter in Nick's sonic journey. Sleep Safari is an homage to unconsciousness, lyrically exploring sleep's mysteries through a surrealist eye. It opens with the line "3am, you wake, the dream begins". Suddenly you're underwater, hold your psychic breath... it's a Sleep Safari. 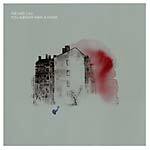 Includes a remix by Grasscut.